Happy Friday! It’s finally starting to feel like Spring around here…for you too? We spent much of the week outside, learning to ride bikes, cutting back the trees, and building a rudimentary tree house. We even picked our first bouquet of flowers from the yard (daffodils) and have fallen asleep to a chorus of frogs every night. This is the time of year I really love living in the country! I’ve been reading a lot lately, which is hard to believe considering I have 3 young children. But there you have it. I’ve found the time by doing less TV and social media (sorry Instagram) and sneaking in audiobooks whenever I’m doing chores or exercising. About the books: I’m still reading this one at night and have been listening to “All Joy and No Fun” during dishes. Both are excellent. A beautiful (and colorful) kitchen in a 1920’s home in San Francisco. So many great details in this space! Life without plastic is possible, it’s just very hard. I may be excited about Spring, but this dark dining room is calling to me! The Seattle designer, Heidi Caillier, was recently interviewed on All Sorts Of and shared all about her background (a blogger!) and where she comes up with inspiration. The founders of Tartine’s kitchen. Their sourdough cookbook has been my bible for the past 4 months of bread baking and I loved peaking inside their personal space. What Disney princesses would look like as career women. Love this! 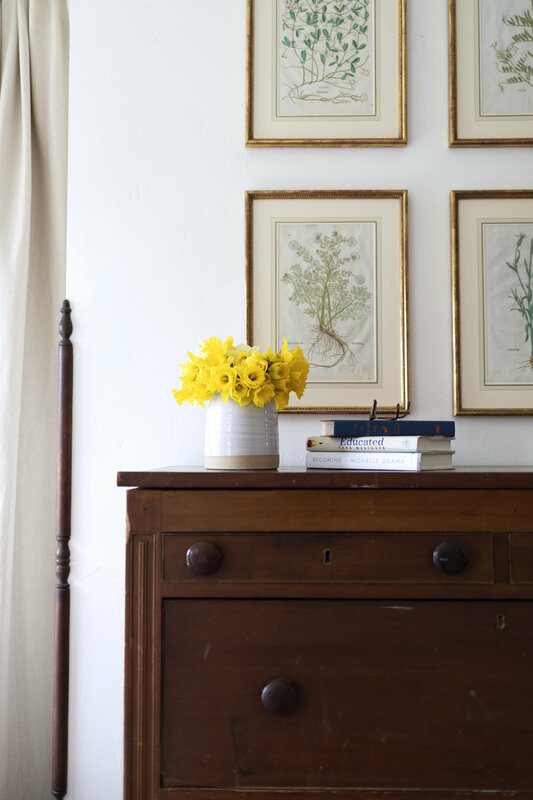 Sarah Jacobson’s (aka @_thegrandapt) 700sf New York City apartment on Jojotastic.